2. What were you doing this morning at 1am? 4. How many people have you slept with? 6. Have you ever smelled moth balls? 7. Last time you made-out? 8. Do you know the words to the song on your myspace profile? 13. How is your hair? 17. Do you have plans on Saturday night? tooth pulled, nothing too bad. 21. Do you like the ocean? 24. What did you do today? 26. Where do you keep your change? 27. Do you remember the most naughty night of your life? 30. What are you gonna do now? My mom keeps saying that I need to update my blog so, fine here you go mommy a new card. One that I really kind of like and still don’t know what I want to use it for. I used big blooms for the stamping, So Saffron, Bordering Blue. Cameo Coral, Sage Shadow and last my bold little touch, Real Red. 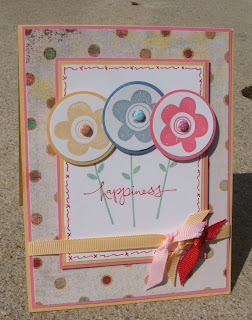 I felt it worked on this card because the basic grey DP has bright red spots on it !! I am so excited! 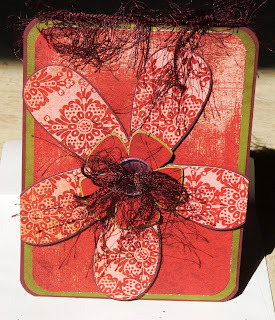 My very first demo party is on Friday and we are going to make Cami's tri-fold card and two 6x6 brag book pages, it will be a blast. There will be ten women there some I know and some I don’t but all are more into scrapbooking than card making. Me, I would rather make card. 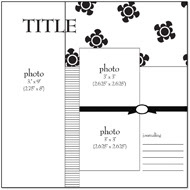 I have such a hard time with finding a good layout and where to put the pics that I end up wasting a ton of paper and giving up……… that is until I found page maps they are a great place to find the best layout for scrap booking. These are the pages that I chose I hope the ladies will love then to!!!! Wish me luck!! I just decided this morning that I was going to cut my hair, it has been way over a year since my last cut and it was just time. I gathered up some of my girlfriends for support hoped in the truck and was on my way. 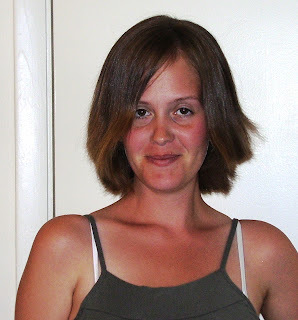 I knew what I wanted and what I was going to do with the hair once it had been cut. 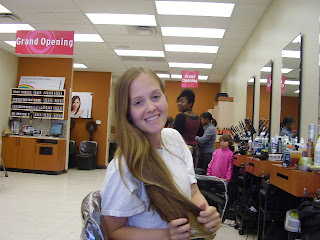 I followed in the foot steps of my 7 year old niece who just yesterday went and had her hair cut and being the kind hearted little lady that she is said that she wanted to donate it to Locks Of Loveand you can find that link here http://www.locksoflove.org/ so I am doing the same. 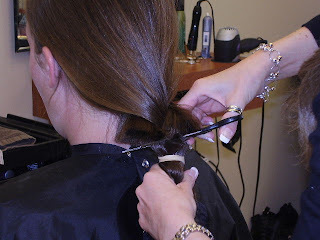 So it was pampering for me and hair for another little person with medical problems that kept there own hair from growing. You have to feel good about that right? Feel free to go and see what their origination has to offer and maybe you might feel compelled to make a donation of your own. 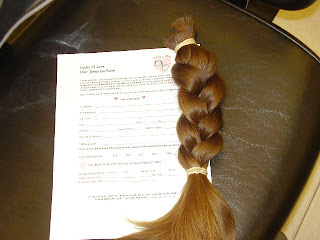 If you do make a donation of your hair I would really like to hear about it, it is a great story, as many times as it can be told . 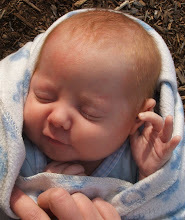 So please leave a comment here on this blog post!! Thank you for reading. Well, my husband asked me to make a birthday card for an old friend. Big Blossom came to mind even though I have never used it before (I even had to mount it). 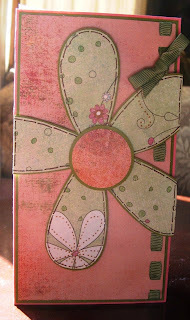 After I made the first card and I haven¢t made anything in two weeks, I just couldn't stop it was just so much fun. 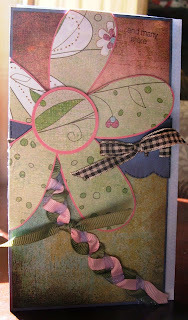 Is not my favorite but I do like the idea to use ribbon for the stem, (idea found at http://www.twisted-chick.blogspot.com/) I love love every thing she makes. Well, when it was all done I started looking at it and just thought there was to much going on so I had to try again! I like this card much better less to look at and not as heavy, a real simple good for anything card, with bright happy colors. I will add the sentiment later when I decide what I want to use it for. Both card 1& 2 will fit in a reg. 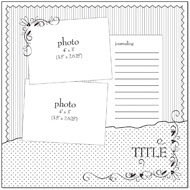 mailing envelope. They are cheaper to buy ;). 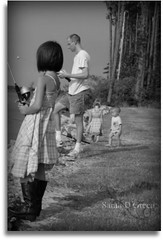 I think that I like this one the best. I have always liked the warmer colors and this is warn. I went with the fibers on this one only because they matched when none of my ribbon would. I used Big Blooms for the center and added a button and more fibers to top it off. Tell me what you think!! !